Most of us would not be able to manage without a washing machine. It is one of the most hard-working appliances in the modern home. If you have kids, you probably use your washing machine at least once a day, if not more often, so it is hardly surprising that most washing machines barely last five years before breaking down. The good news is that a faulty washing machine doesn’t necessarily mean you need to buy a new one. Thanks to services like www.hotpointservice.co.uk/washing-machine-repair, you might be able to get it fixed. Washing machines often get noisier over time. This is normal. 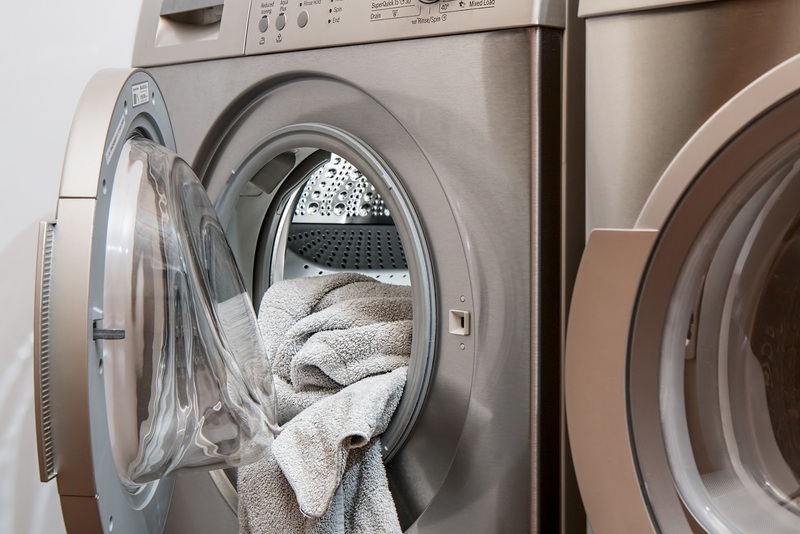 Components wear down and everyday use of a washing machine exerts a lot of wear and tear. Overloading a washing machine can cause the drum brushes and bearings to wear out. These can be replaced, so if your machine is jumping around on a spin cycle, have it checked out. First, check there is power to the machine. It may sound obvious, but a faulty socket or a blown fuse will prevent your washing machine from working. If there are no problems and other appliances work when plugged into the same socket, look for kinks in the cable and replace the fuse in the plug (if it isn’t a sealed plug). Do you make a point of checking pockets before you shove clothes in the drum? Well, you should. A pocket full of coins, bolts, screws, and any other foreign objects isn’t going to do your washing machine any favours. Foreign objects can easily get stuck in the drain pump, which can prevent the machine from draining out at the end of the cycle. Another reason why a machine isn’t draining is that the drain pump has developed a fault. If the pump isn’t working and you need to drain your washing machine, put the drain hose in a basin and wait for the water to exit the machine. Check the drum. If the drum is cracked or a foreign object is caught in there, it will damage your clothes. The problem could also be a faulty thermostat. This turns a cool wash into a boil wash, which has much the same effect as a cracked drum, i.e. ruined garments. The type of water leaking all over your floor determines its origins. Dirty water usually comes from the drum or the drain pipe or pump. Soapy water might be leaking from the door seal or sump. Check pipes for splits and make sure the sump hose hasn’t come loose. Check the door seal too, to make sure nothing has damaged it. Modern washing machines have electronic components. If any of them stop working, it can cause the washing cycle to falter. Sometimes, a machine gets stuck when there is a power cut. It should continue when the power is restored, but if it doesn’t, try manually putting the machine on a spin cycle to see if it will drain. If not, the problem could be a faulty timer or thermostat. If this is the case, you will need to call out a washing machine service technician. Disconnect the inlet hoses to make sure there are no blockages. If your machine still has a problem, it might be the water pressure system. You will need an electrician or washing machine technician to test whether power is reaching the solenoid during the fill cycle. Many washing machine problems can be fixed at home, but if in doubt, call in an expert.